In my feeble mind, there are three kinds of professional guitarists. There are the straight, by-the-numbers rock and rollers who play some memorable rock and roll (or its various and sundry cousins). Then there’s the kind that are “all hat and no cattle” as they say here in Texas. They’re the kind who, while infinitely more proficient than I’d ever hope to be on the guitar, they’re primarily flash and show without a lot of real expertise involved with their craft. The third category of professional guitar slingers is where those who are so proficient and so knowledgeable at and of their craft as to be almost otherworldly. Well known players who I believe fall into this category are guitar blazers like Steve Vai, Eric Johnson, Andy Timmons, Tommy Emmanuel and Steve Lukather esily come to mind. These are the kind of players who, when heard by other players, provoke feelings of giving up and selling their gear because these guys are in another universe all together as far as their guitar playing abilities are concerned. While the names I just rattled off are by no means all-inclusive, there is one name that I wish to add to that list: Rob Balducci. I feel like a musical dunce in that I’ve only recently discovered Balducci’s work. Rob is on Steve Vai’s label, Favored Nations Entertainment, which is no small accomplishment. Vai does not suffer “musical fools” and only invites to his label those who command his respect musically. 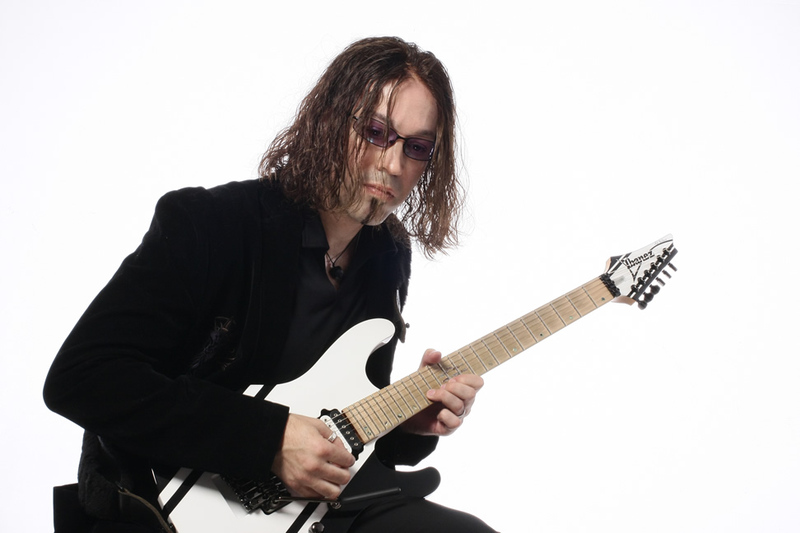 Listen to Balducci’s last album, Violet Horizon, and you’ll see why Mr. Vai has him on his label. I recently spoke with Rob about his work, where he’s been and where he’s going. I have to be honest (as I usually am): I kind of expected a solemn, brooding, hard-to-talk-to musician. What I experienced was the polar opposite. Balducci is a warm, friendly and engaging conversationalist with whom I quite enjoyed chatting with. When Rob called me from his New York digs, I hated to, but I started off by asking the very basic question of who his musical influences were and are. “It depends on when and where. So, if you’re talking about when I first started out, it goes back to having three older sisters who were into all types of music. That’s what really turned me on to music. So, right away at an early age I was turned on to the Rolling Stones and Keith Richards. Sympathy For The Devil was one of the first solos that I learned - and, of course, Jimmy Page. It was really that first record, you know what I mean? Good Times Bad Times, I love the solo in that song! And Communication Breakdown – there’s so many things to like! Oh, and Angus Young! I remember borrowing my sisters Powerage album. All the songs on that record – he’s amazing, know what I mean?